While it is still not the perfect product to draw digitally on the go. The Cintiq Companion 2 is still one of the greatest devices made for that purpose, and while it is more expensive than all the competing devices I am aware of. It still provides one of the best drawing experience on the market. So even with some of the cons in Cintiq Companion 2. it is still a great art tool to have for many artists, and the portable dream for drawing on the go. Very portable & versatile for drawing on the do. Has a matte screen, which won’t reflect light or turn into a mirror under certain light conditions. Higher pressure sensitivity than competing portable drawing tablets. Screen Resolution:- QHD 2560 X 1440. Can be used by both right & left handed people. Can be attached with both Windows & Mac OSX. But you can’t install Mac OS X on it. Operating Systems it can attach to:- Windows 7 or later. Mac OS X 10.8 or later. Attached to PC or Mac via HDMI. Storage:- Ranges between 64 GB – 512. Micro SD Slot:- SDHC card, Micro SD. Ram:- Ranges from 4-16 GB. Adding storage:- Possible with SD card or external drive. Active Area:- 294 x 165 mm (11.6 x 6.5 in). Expresskeys:- 6 Customizable application-specific buttons. Has 3 USB 3.0 ports. Front Camera:- Front: 2 MP HD. Back Camera:- Back: 8 MP HD. Estimated battery life:- up to 4.5 hours. Many of us digital artists used to draw with pencils & paper or some other traditional drawing media at some point in the past. And we all appreciate the simplicity & the straightforward way we could make our creations with. Then computers came and allowed us to achieve much more than traditional media quite easily, and with graphics tablets, we were able to somehow draw similar to how we did with traditional pencils. But at the cost of looking at the screen all the time, which was not bad for many people, but we still lost something in the process. Then devices like the Cintiq came out, and again, it made it possible to draw similar to how we drew traditionally. And it got a huge improvement over the years, but for some of us, there was one thing that was still missing:- Portability. With most traditional media, you could take your tools anywhere and draw away with them. Some artists actually liked to do that because it was fun & refreshing, while others did it to save time while they are on the move. And that’s the problem the Cintiq Companion 2 came to solve, along with the previous generation, it made it possible to draw wherever you are. While there are still some issues with it even now, it is still a great solution for this problem for many artists. A good way to think of Cintiq Companion 2 is not as a desktop replacement, but as a device to use on the go, and then plug it into your powerful desktop or laptop to continue working once you get back home. The only case where I believe you could use the Cintiq Companion 2 as the sole tool for artwork creation is in case you don’t need that much power in your applications, like in case you use it for sketching. When it comes to the design, the Cintiq Companion 2 looks just like the Cintiq 13HD (Reviewed here). But with computer inside of it. 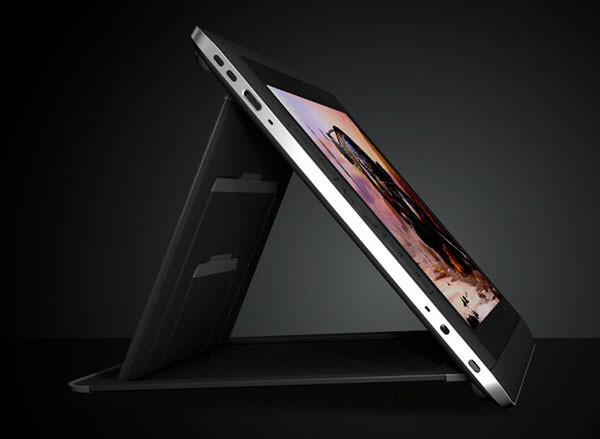 The main body of Cintiq Companion 2 is very sleek & weights about 3.7 pounds (about 1.67 KG). Which makes it ideal for carrying around. And for those who plan to import it from abroad, the low weight of Cintiq Companion 2 means there won’t be hefty shipping costs. At the back of Cintiq Companion 2, there are two slots to plug the stand, there are also venting slots there as well. The Cintiq Companion 2 comes with a 13.3 screen with a QHD resolution of 2560 X 1440. The resolution is more than enough for most applications, though in some applications, some icons make appear kinda small to you because of the high resolution. The pressure sensitivity of the tablet is 2048, which is what we see in all high-end Wacom product nowadays. But this is worth mentioning seeing how comparable products, like Microsoft Surface Pro, which offered only 1024 levels in the Surface Pro 4. And 256 in the Surface Pro 3. Thought to be quite honest here, many people don’t need that much pressure sensitivity, so the 1024 levels in the Surface Pro 4 is more than enough for most people. Another advantage of the Cintiq Companion 2 screen is that it is matte, which mean it won’t reflect light or turn into a mirror if you ended up using it in a certain lighting environments. something the Cintiq Companion 2 alternatives still suffers from. The portability of Cintiq Companion 2 makes it easy to rotate on your lap while drawing, just like you did with traditional paper, whether your art program supported canvas rotation or not. But for that to work correctly, you just need to make sure the Auto-rotate switch on the Cintiq Companion 2 is turned off. When it comes to the internal peripherals, Cintiq Companion 2 has two speakers. As well as 3 USB 3 ports, which is more enough to plug in many devices, or at least a keyboard, mouse or a scanner to use as a laptop replacement. For external display, Cintiq Companion 2 has one Minidisplay Port. And for additional storage, There is a Micro SD card that can take cards with up to 2 TB, according to Wacom. That is much larger than the 32 GB the original Cintiq Companion supported. To connect the Cintiq Companion 2 with your computer and use it on Cintiq mode, you use the Cintiq Connect cable, which has a USB & HDMI ports to connect to the correspond port on your computer. On the side of the Cintiq Companion 2, there is a auto-rotate switch on the left side of the Cintiq Companion 2, the side where the hotkeys & the rocker button are located. That switch determines if the Cintiq Companion 2 will rotate if you held the device differently, just like how the iPad would do by default. 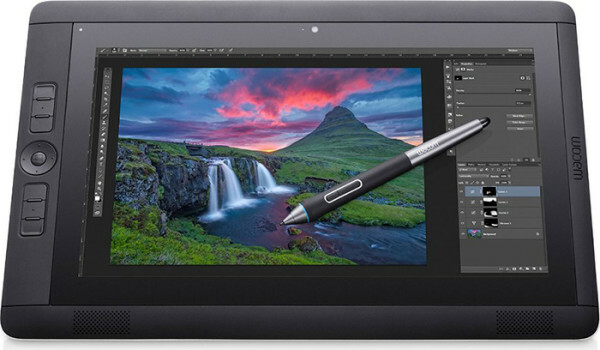 For wireless connectivity, the Cintiq Companion 2 supports 802.11 b/g/n networks & bluetooth 4.0. 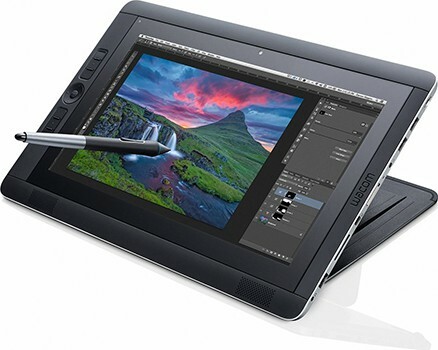 If you are familiar with the Cintiq 13HD, then you have a good idea on what to expect here. The Cintiq Companion 2 has 6 hot keys and one rocker ring. While the 6 buttons can do all sorts of functionalities, depending on how you customize them. The rocker ring do the incremental things like increasing the brush size in your art program. The Cintiq Companion 2 stand, which can be adjusted in 3 ways. Image Credit:- Wacom. Most models of Cintiq Companion 2 comes with an adjustable stand, the stand is pretty similar to the one in Cintiq 13HD, which can hold the Cintiq Companion 2 in 3 different positions, so that it suits the way you set down & draw. Note:- The DTH-W1310T model doesn’t come with the stand. According to Wacom, the expected battery life of Cintiq Companion 2 is 4.5 hours, which is pretty much what you will get from it. The good news are, there is a chance you will be able to get over 5 hours depending on your power settings. Which is good to do a lot of work on the go. But since we are greedy, we hope to see even more battery life in any subsequent version of the Companion 2. Just like the case with the recent Cintiq models nowadays, the Cintiq Companion 2 offers Touch & Multi-Touch capability, which you could use to perform certain tasks faster, like zooming in & out your artwork, or to rotate the canvas. But since the Cintiq Companion 2 is pretty much a tablet. The touch features can come in handy when you do other things, like browsing the web on the go. The Cintiq Companion 2 comes with the standard Wacom Pro pen. Just like the case with many things with the Cintiq Companion 2, if you are familiar with the Wacom Pro Pen, then there is nothing new to see here. The Pro Pen comes in the same elegant case that is typical of it. Inside the case, there is the Pro Pen itself, colored rings to allow you to customize the pen looks to suit your taste, or to distinguish between different pens in case you have more than one pen. In additional to that, the case contains 9 additional nibs, which are enough to last you for some time without having to buy any additional ones. The pro pen has an eraser at the back, which is an intuitive way to switch to the eraser tool in your art program of choice. There are two buttons on the pen, which you could customizable to do various of things to speed up your workflow (they work very similar to the hot keys on the Cintiq Companion 2 itself). Cintiq Mode:- Now you can connect your Cintiq Companion 2 to your PC or Mac and use it just like a regular Cintiq. Something that was only possible in the Companion Hybrid before. Fixed bad power connector:- Some units of the original Cintiq Companion used to have a bad power connector, which prevented the device from charging in some cases. Now this problem seems to have been solved in Cintiq Companion 2. The enterprise model is customizable, so there is no certain specification for it. But it supports Intel Core i7 vPro technology. According to Wacom, the Cintiq Companion 2 drivers has been updated to support Windows 10 now. There is a chance that you will not be able use the Cintiq Companion 2 as an external device after the update, as the update removes the software responsible for that. However, this can easily be solved by downloading the utility related to that from Wacom’s website. Here are some of the problems related to the Cintiq Companion 2 , While some artists reported that they like their Cintiq Companion 2 despite these problems. It is still much better to know about them prior to buying it, rather than finding out about them later. As these problems can be a deal-breaker for you, in which case you may consider getting a Cintiq 13HD, or its touch version. The Cintiq Companion 2, as well as the original Companion were notorious for the fan noise, the noise doesn’t stop the device from working correctly or anything. But it can be quite annoying if you are the kind who likes to work in a quiet environment. Especially how sometimes the fans never seem to stop. In Windows, switch the power mode to Balanced or power-saved. This may cause you to lose some processing power, but this is fine if you are doing something that doesn’t require it, like sketching. Close any background applications you are not using. Lower the max CPU power, this is a kinda advanced setting. I really hope this fans problems will be solved in a future version of the Cintiq Companion, like the Cintiq Companion 3. The Cintiq Companion 2 tends to get warm, especially around the fans area, it is not hot that you won’t be able to touch it, like the case with some laptops. The Cintiq Companion 2 made some more improvements compared to the original Companion, especially with the ability to hook it with a computer. 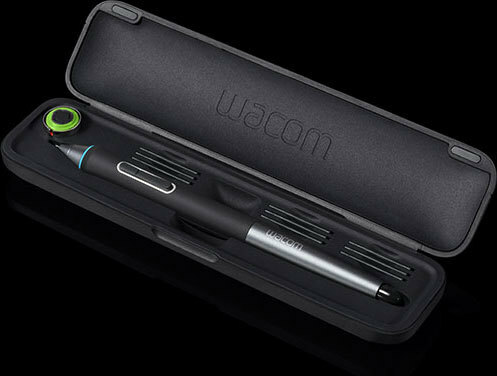 That means that Wacom has been listening to its customers request after releasing the previous model. As I said before, while the Cintiq Companion 2 is not exactly perfect, it is good for many artists in its current state. Wacom Cintiq 27QHD Review (DTK2700, DTK-2700, DTH-2700), standard and touch versions. Is Wacom Cintiq worth it? Here is how to make here is how to make your Cintiq buying decision. Wacom Cintiq 13 Pen and Touch Tablet (DTH1300K) Review. All the tips for reducing the fan noise of the Cintiq Companion 2 were taken from this Wacom forums thread. Corel Particleshop Plugin for Photoshop review, take the power of Corel Painter into Photoshop – Available for multiple other applications.